Mark Sherwood is a spymaster with the British Special Operations Executive. This actual organization operating during the Second World War was created to conduct acts of sabotage, espionage, and reconnaissance deep behind enemy lines as well as work closely with the various resistance groups to harass Axis troops. It was created in 1940 and finally disbanded in 1946. In this three-book espionage series, Sherwood had held the rank of Colonel in the British Army when he was assigned to the SOE and put in charge of a team of highly skilled young operatives. 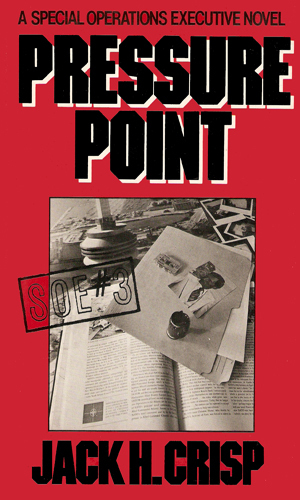 However, while the real SOE was broken up after the War, in this series the organization was still active, playing a vital role in British Intelligence, more than a quarter century later, now being run by Sherwood. Easily in his late fifties or early sixties, Sherwood still stands tall and solid, his thick dark color hair finally showing signs of graying. His friendly manner, especially to his former subordinates, does not, though, mask the seriousness he still takes in his work. The enemies of his country may have changed but they were still many and needed sober fighting. As a spymaster, Sherwood does not play a major action role in any of the three adventures though his presence and his planning are vital. It is Sherwood’s job to find people who can handle the situations that came up and in each of the three recorded cases, the person chosen was a former operative now living a normal life and being totally shocked when their former careers is thrust back at them. In each case, the recalled agents were living in Canada but the action all takes place in England or on the Continent. 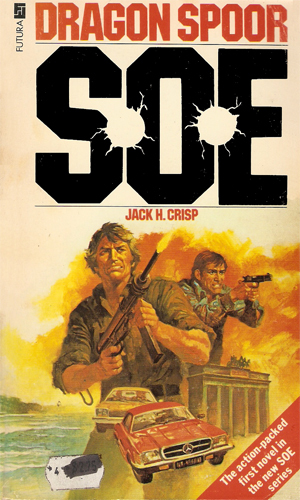 When the books were initially released in hardback, they were presented as solid espionage thrillers. 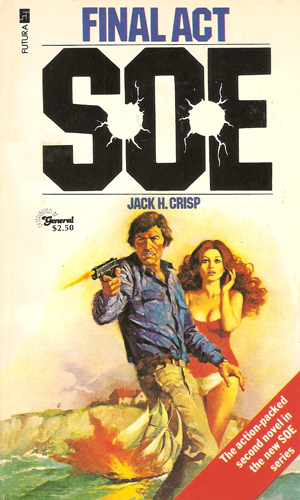 The paperbacks, though, gave a thoroughly different image; their covers spoke of fast action-adventures more in line with the Executioner than with LeCarre and Deighton. The surprise of those buying the books thinking they were getting the former but getting the latter must have been intense. A priceless treasure in stolen art, looted during WWII by the Nazis, is at stake when Mark Sherwood calls upon photography Don Palmer to undertake a mission to find the items as they may the currency needed for a resurgence of the Third Reich. Charles Foster is a highly successful playwright who is working on the final touches for his latest work when Mark Sherwood steps in and asks for help. At stake is a huge international plot to move large amounts of narcotics, all to pay for something else. Foster's problem is that his wife may be deeply involved. Janos Illyes is on a date at one of Toronto's best restaurants when he spies Mark Sherwood after a quarter century. As he goes to say hi, Sherwood gives him a Danger Imminent sign and suddenly Illyes is back in action to help Sherwood break up a spy netword infesting NATO. My comment in the About The Series regarding the paperback editions is an interesting one. These three adventures are far closer to the kind of well-planned, well-written espionage drama a reader would expect from some of the greats in the genre, such as LeCarre and Deighton and Hall. The covers, though, look more like a Nick Carter Killmaster men's adventure than anything else. People buying them thinking them thus were probably disappointed. Readers hoping for some entertaining spy dramas, though, would not have been as Mr. Crisp did an excellent job with each of these. Sherwood must have been an incredible commanding officer to have those who followed him nearly three decades before dropping everything to help him now as they are much older and not as invulnerable as most young men feel themselves to be. It is enjoyable, and realistic, to watch different men, each still in good shape but very much out of practice, have to step back into the world of act quick or die. The fact that their doing so does not raise any eyebrows for the reader show how well the author did his job. I would recommend these books to any spy-fi fan but do not read them expecting "bang! the gun spat a bullet!" style writing. Mr. Crisp was far better than that.